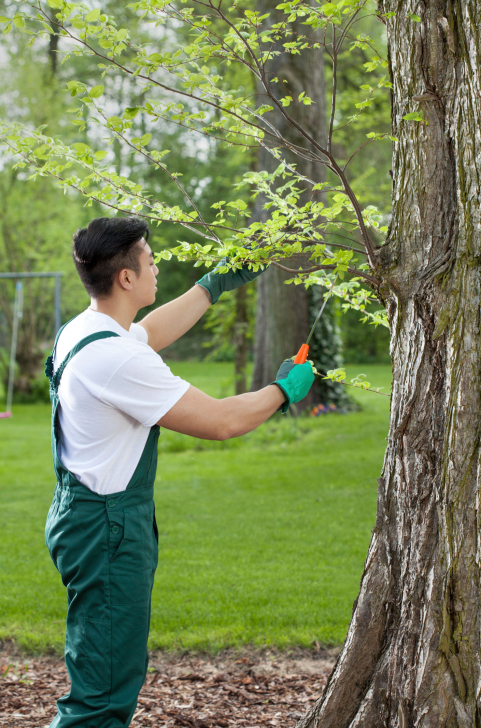 Homeowners contact Nature’s Touch Tree Care and Landscaping for quality services from a certified arborist. We have many years of experience and dedication as an Eden Prairie tree company. We have trained and qualified professionals that will assist you in customizing your landscaping to provide curb appeal and beauty, and safety. We offer a wide range of tree service and landscaper options to meet the needs of our customers. We can assist you in having the personal landscaping that you desire. We can keep your trees and plants healthy, and we can also remove any dead trees or shrubs that you have on your property. Feel free to give us a call Monday – Friday 24/7. We’re available for emergency storm damage cleanup as well! , “Live, Work, and Dream.” The city was founded in 1858 and Native Americans were the first to live in the area. Eden Prairie was ranked as the Number One Best Places to Live in America by Money magazine. The city has nearly ten thousand acres of land that has been designed for parks and scenic views. In the city visitors can choose from over thirty five parks and nature trails to visit. The Birch Island Woods, Cardinal Creek Trail, and the Riley Creek Trail are just a few of the nature trails in Eden Prairie that has bridges, boardwalks, and scenic views to enjoy. Eden Prairie is also known for its natural springs. The Fredrick-Miller Spring is available for all residents and visitors to get fresh water at the natural spring year round. If you would like to visit the public beaches ihere, then the Riley Lake Park Beach or the Round Lake Park Beach are two excellent beaches in the city. Visitors can enjoy swimming, building sandcastles, picnics, volleyball, baseball, and much more. There are lifeguards on duty every day throughout the summer. This city has something for everyone. If you love the outdoors, then this city is the place to visit, because there are so many outdoor activities available. Our tree company is the landscaping specialists in Eden Prairie, Minnesota. Contact us today and let us help improve your landscaping! Recently, Nature’s Touch Tree Care & Landscaping was contacted by a single mom in Eden Prairie. The single mom’s property had several overgrown trees, but she didn’t have time to look into hiring someone or doing the work herself. She knew her property was starting to look drab and she decided to call someone out to do the tree trimming for her. She asked her coworkers who to call and they all said to call Nature’s Touch Tree Care & Landscaping for the best and affordable tree trimming in Eden Prairie. The Nature’s Touch Tree Care & Landscaping went to the Eden Prairie home and gave the single mom a bid that she could afford. The Nature’s Touch Tree Care & Landscaping team returned on Monday morning and started trimming the trees on the property. Once the team was finished and headed to the next job the customer called the office. The single mom said she couldn’t believe how beautiful her yard looked, because the Nature’s Touch Tree Care & Landscaping team did a great job on the trimming the trees on her property. She said her kids can now play safely outside and she doesn’t have to worry about them, because the trees were all nicely trimmed. The single mom said that Nature’s Touch Tree Care & Landscaping provided quality tree trimming Eden Prairie mothers could appreciate and afford. The customer said if she knew the price would have been this affordable she would’ve called us out sooner. Nature’s Touch Tree Care & Landscaping was contacted by a coffee shop owner in Eden Prairie. The owner explained that his coffee shop had two large trees outside their patio area and each fall the trees were causing a huge mess. The owner said he loved that the trees provided shade and beauty outside of his coffee shop, but the staff was constantly cleaning during the fall months. 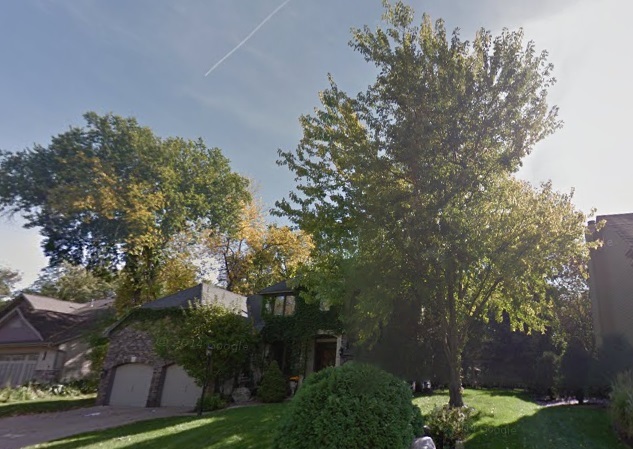 The owner called us for the best Eden Prairie tree care services available. The Nature’s Touch Tree Care and Landscaping arborist arrived at the location and evaluated the trees thoroughly. Our arborist determined that the trees would be healthier if they were trimmed, and the café owner approved of our suggestions. The team returned that same day to trim the trees. The team trimmed the trees, then cleaned up all of the branches, leaves, and debris so the patio area was left clean and tidy for the customer. Our team let the customer know that the trimmed trees would be less of a mess to deal with, and the trees would be healthier in the long run. The customer was thrilled with the news and was happy that his staff and his customers wouldn’t have to constantly deal with an unsightly mess. He told us how happy he is because he called us for the professional tree care in Eden Prairie. We were just glad to have another satisfied customer, and told him that we would be happy to help him with any trees or landscaping on his property in the future. A realtor in Eden Prairie contacted Nature’s Touch Tree Care & Landscaping to discuss how he could improve some of his properties. The realtor wanted to spruce up these properties before putting them on the market to show dedication to his clients. He called us for the best Eden Prairie tree services to do a basic job, which we did as we improved the curb appeal greatly. The experts with Nature’s Touch Tree Care & Landscaping met with the customer at the first property and we gave him a few recommendations that would include planting two trees and trimming the shrubs. It only took a short conversation with the respective homeowners for them to approve of some basic work. Our crew followed the customer to his next two properties and we again gave the customer recommendations that he agreed to, then our crew returned to the properties the following morning and started the improvements. By mid-afternoon we were able to have all the properties looking great. We planted trees, trimmed and pruned trees, and trimmed shrubs. The properties looked well maintained and very attractive, which is what the customer was looking for. We heard back from the customer a few weeks later. He just wanted to thank us for doing a fantastic job. He told us that he sold the properties very quickly. The realtor said we would be hearing from him in the near future, because of the great work that we provided him and his properties. Recently, Nature’s Touch Tree Care & Landscaping received a call from a customer in Eden Prairie. 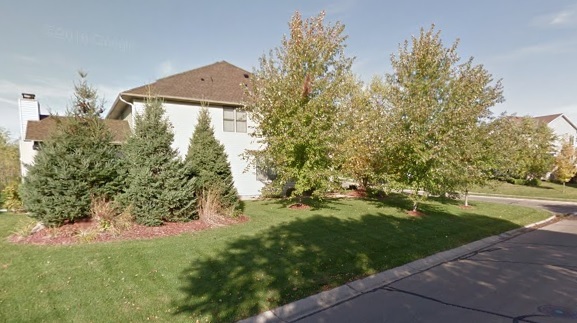 The customer had a very old tree in her backyard, and she remembered that we had provided the very best Eden Prairie tree trimming she had seen on another tree in her front yard. She called us again, and we were happy to help. The team arrived at the customer’s home and they remembered the customer immediately. She was a retired lady that loved spending time in her yard. She met the crew and showed them the tree that she wanted to have trimmed. We let her know that we brought our special crane and bucket equipment, so we could trim the tree safely and effectively. The team positioned the crane and bucket equipment and started trimming and shaping the top of the tree, then the bottom branches. The team finished the tree trimming job later that afternoon. The customer said that the tree looked absolutely beautiful. She said that she remembered planting that tree when her daughter was first born, which was twenty five years ago. She wanted to make sure that the tree would live a long life, so she could show her grandchildren that special tree. She will be able to do that because Nature’s Touch provided her with the best tree trimming in Eden Prairie. The team cleaned up the debris and packed up to go home. We were happy to do great work for an appreciative returning customer. We received a call from a contractor was doing remodeling on a property, but couldn’t build a solid patio without first getting the best Eden Prairie tree removal in the yard to prevent damage once the patio was built. The contractor discussed this with the homeowner, and the contractor let his customer know that he could contact Nature’s Touch Tree Care and Landscaping to do the project quickly. The homeowner agreed, and we were contracted to take care of the removal. The Nature’s Touch Tree Care & Landscaping specialists arrived at the home and the contractor directed us to the tree that needed to be removed. The tree was diseased and the roots were starting to protrude from the ground, which would be devastating to the new patio that was being constructed. Our crew started removing large branches from the top of the tree and working their way down. Within a few hours the tree was removed and the crew was grinding the stump to complete the removal. The crew cleaned up the yard and area thoroughly. The contractor and homeowner together thanked us for doing an effective and quick job. The homeowner said that he knows who to call if he ever needs tree removal in Eden Prairie in the future. He said that Nature’s Touch Tree Care & Landscaping is the only company he will ever call, because we did a great job!